Undoubtedly, this year, there has witnessed a huge growth in the sales of Apple HomeKit devices. They are booming. Majorly, the credit goes to iOS 11 for making the easiest platform for the makers of the smart home devices to get their products working on it. 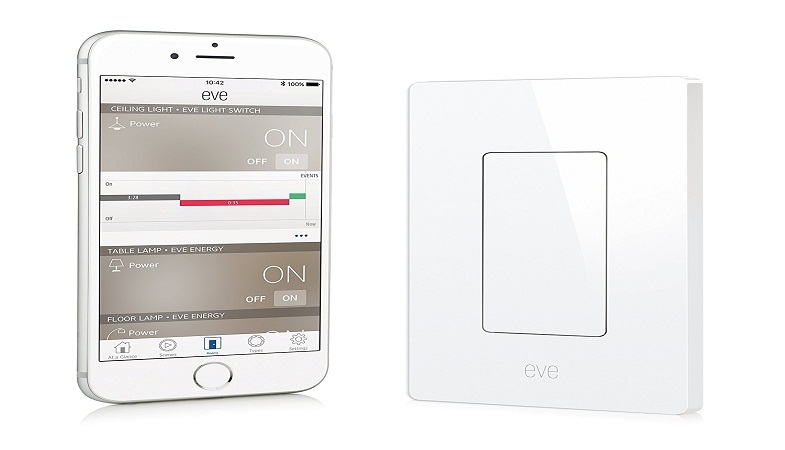 Now, the question is, what is Apple HomeKit? 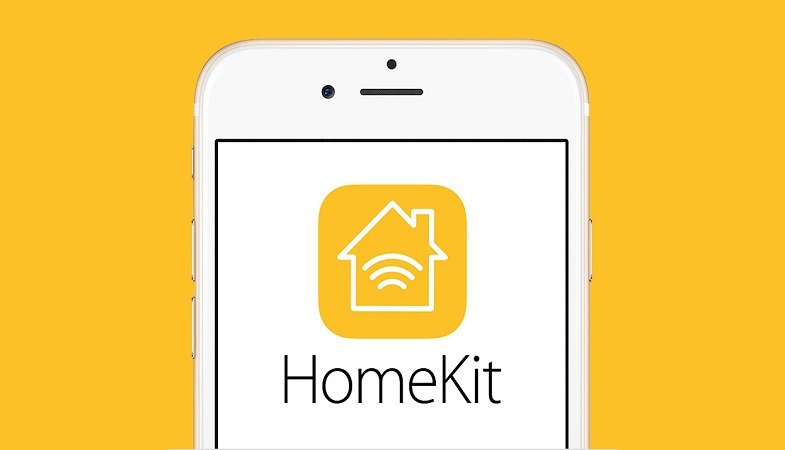 With HomeKit, Apple has attempted to bring all the smart devices together in one connected ecosystem. In Apple’s vision of the future home, your smart door-lock will interact with your smart lights and your smart thermostat will be able to work impeccably with your smart ceiling fan. The products that are compatible with the Apple HomeKit have been brought together to create a perfect smart home environment for you. In fact, with the launch of iOS 11, Apple has allowed you to control all the HomeKit compatible devices through a single app. As a result, the ecosystem of the compatible products is ever since growing. HomeKit lets all the gadgets talk to each other and everything is being controlled in one place – Home, a dedicated app that arrived with iOS 11. This app has made all the devices interact with each other to build a perfect smart home for you. Here is our list of the best Apple HomeKit devices that are compatible for your smart home. 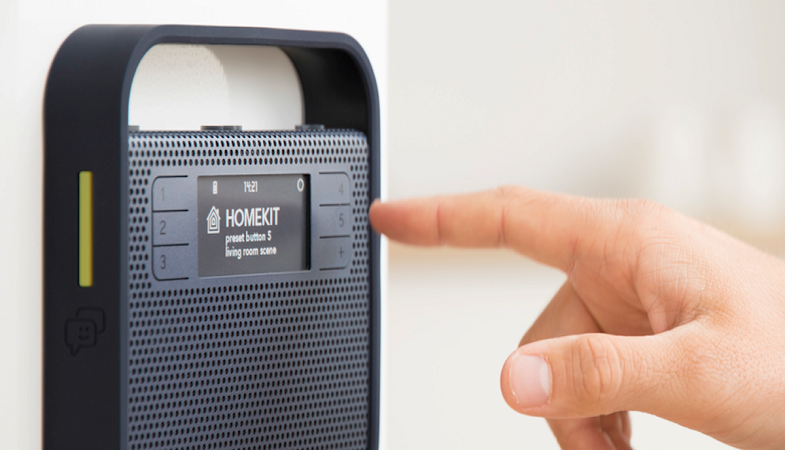 Smart speakers are essential for a smart home and they seem to be getting a lot of attention by the users as they unify a smart home, allowing users to talk to their digital assistant and request for the light to be dimmed, the radiator to be heated or the door to be locked. With these smart speakers, users can request them for complete any task. Apple’s own device, HomePod is the smart speaker that is compatible with HomeKit. Next comes the thermostats. These internet friendly thermostats were one of the first devices to take hold of the smart home. However, the market leader, Nest, has not yet announced HomeKit support. Since Apple HomeKit Nest has not made any announcements as to when it will rejoin Apple, we shouldn’t be worried as there are other options that can be considered. Thankfully, there are a number of other HomeKit thermostats available that are compatible with the HomeKit and work really well. 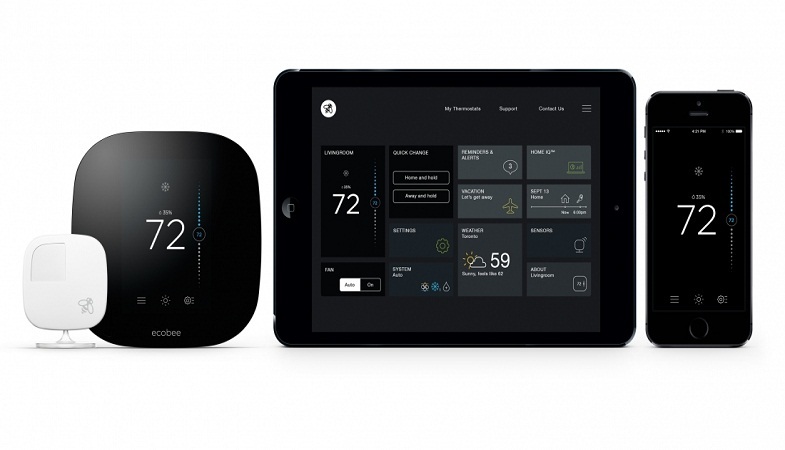 Honeywell and Ecobee are some of the prime examples. Let’s not forget how essential smart light bulbs are for our smart home setup. They have the ability to change their color. Also, they can be turned on and off with a pre-planned schedule. Moreover, you can also dim the light as per your mood. By giving a simple order with your voice, you can get to turn off the smart light bulbs at your home. Imagine you’re in a hurry for a meeting or an event and have to dash out of the house immediately. However, you have no time to switch off the lights by pressing the switches physically. When you have installed HomeKit lightbulbs at home, you can get them switched off just with your voice. 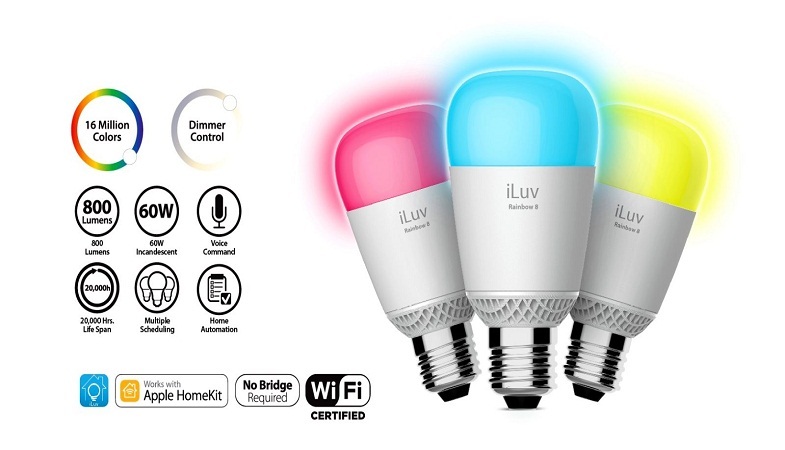 Abundant of smart light bulbs are available in the market which are also compatible with HomeKit. Koogeek, Philips Hue are some of the fine examples that work brilliantly. Do you wish to make your lighting smart without having to change all of your bulbs? Well, with Apple HomeKit light switches, you surely can. You can change your light switches and turn them into smart switches and then get to control your lights either with your voice or from your phone. When your light switches are programmed as per your schedule, you do not have to worry switching them off. You can program them so they can control far more than just your basic lights. Logitech Pop, Koogeek, and Elgato are some of the light switches that are compatible with Apple’s HomeKit. At first, you might be a bit hesitant while entrusting your home’s security to a smart connected device. But when it comes to Apple HomeKit, you do not need to worry because the data it’s sending is fully encrypted, hence nobody will be able to walk into your house. There are a lot of advantages of investing in a smart lock. From being able to gain entry to your house with the use of your phone, assigning ‘guest keys’ to someone whom you want to enter into the house, and even allowing people to remotely enter into your house, you can get to do all of this stuff with the help of HomeKit smart locks. August’s Smart Lock adds an additional layer of security to your door and integrates quite well with Apple HomeKit. 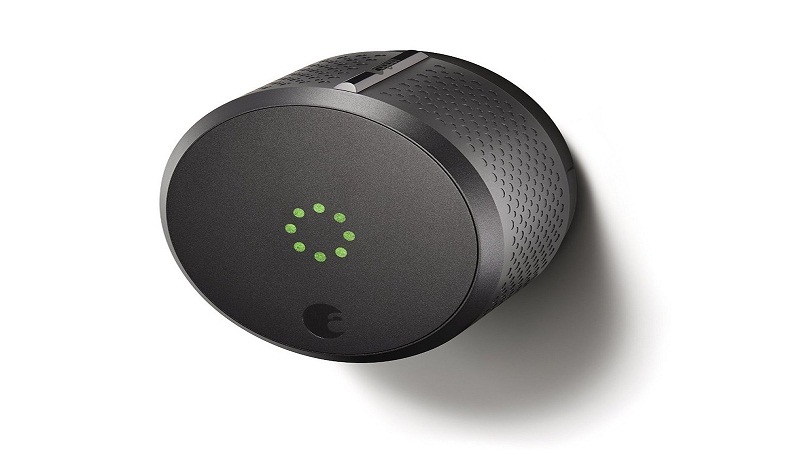 Different from the smart locks, smart doorbells are simply doorbells with smarts. You might be wondering how can you make a doorbell smart? All you do is press a button and then it rings. It turns out your classic doorbell is surely missing features you’d never knew you needed before. 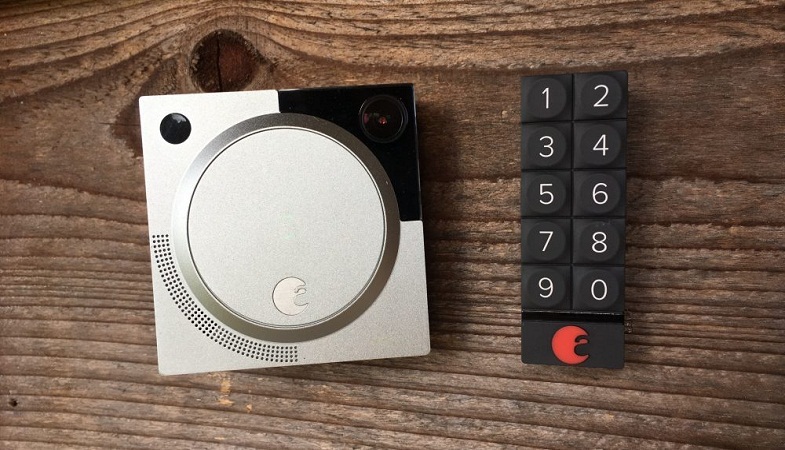 A smart doorbell has a camera and a speaker in it along with the button. You can use your smartphone to see who’s at your door while sitting on the couch or even at work. As far as the speaker is concerned, you can talk to your delivery guy and ask him to drop your package at your neighbor’s house or come back the next day. Majority of the smart doorbells also come with the option of recording. For instance, if you’re not certain about a person who has rung your bell and run away, you can have them recorded on the camera and then find out who the person really was. August Doorbell Cam, Ring, and SkyBell are Apple HomeKit enabled devices. We have already discussed HomeKit smart locks and smart doorbells that are equipped with security cameras. There are also a number of companies that are producing HomeKit enabled security cameras, which can be used to protect and monitor your house round the clock. 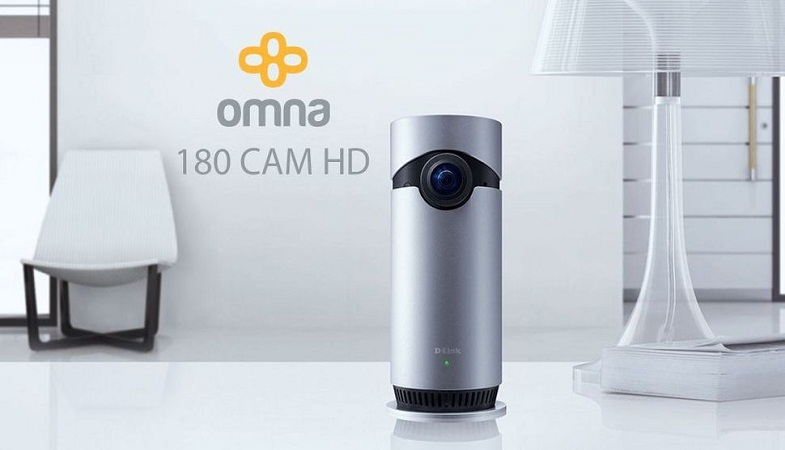 At the moment, D-Link Omna 180 Cam HD is the only security camera that Apple HomeKit is supporting.